I have been building high-end homes for as long as I can remember. The key to my success has been working with sub-contractors that demonstrate top level performance and service at competitive prices. If you take the time to compare and evaluate what you're getting with J. Coleman Waterproofing you will choose J. Coleman. I can say with sincerity that they understand the concept of accountability and excellent customer service. Much of my success can be attributed to relationships like the one I have with J. Coleman Waterproofing. Working with J. Coleman Waterproofing has been a great experience. 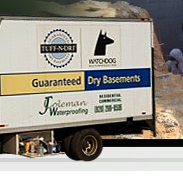 Having their level of professionalism makes our waterproofing requirements seamless. The fabulous warranty from a national highly recognized waterproofing product like Tuff N-Dri also gives us a peace of mind about callbacks. 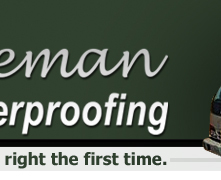 Jan Coleman Waterproofing Company is a wonderful business model for anyone you wants to learn from people who know how to service their customers. The owners of this company have properly trained all of their employees. With this said, builders can trust Jan Coleman will always make them look good. As a builder myself I am constantly looking for people such as this, and it is hard to find. I know when Jan Coleman has left the job it is done the right way, which makes my life a little easier. Thank you Jan Coleman for your expertise, you are a valuable asset for anyone who is smart enough to hire you. JColeman waterproofing has been a pleasure to work with from the start. Their prep. work is extensive and detailed and customer service is outstanding. 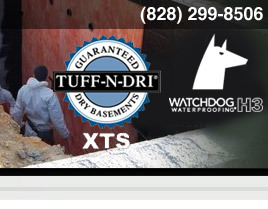 We have had no water problems since using Tuff-N-Dri XTS and JColeman waterproofing. Your crew did a great job! Their prep work was outstanding! You were more expensive than my previous waterproofer, but the quality of work and product is much better. We had problems with leaks on almost every job before we tried you. “I have used the ‘Tuff-N-Dri XTS’ system since 1994 in two different regional markets and have never had a leaking foundation as a result. Jan and her team make sure that the product is applied under the correct conditions and with the proper preparation. I salute Jan and her crew and the Tremco product! "I use Jan Coleman Water Proofing because they provide a quality product at a competative price with a proffessional crew, what else is there?"